Anyone who scuba dives knows how addictive it can be. The only sound you can hear is the air that leaves your lungs floating away like dancing spheres as you glide suspended and weightless in the depth of Mother’s womb. You cannot run or jump. The sea plants around you sway gently with the current of the immense sea that buoys you. The marine life swims with the natural rhythm that has no end. It may ebb and flow, but it never ends. This is a world that few humans experience and the deepest parts are unknown and unchartered. It’s mysterious and vastly different from life on dry land. There’s been much arguing for a number of years about whether global warming is compromising planet Earth. I’m not going to argue the point. No one is likely to be swayed one way or the other by anything I write here. My only comment is this. We are the only stewards of the Earth. It seems to me that whatever we are given, we are obligated to care for the very best we can. I think we could do a much better job than we are doing. 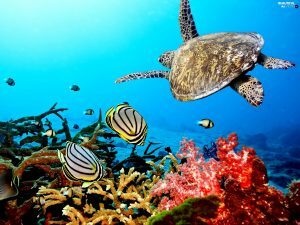 The Great Barrier Reef of Australia has been a focal point for those that are aware of and committed to understanding, loving and caring for what we cannot see…the undulating flow of life carrying bio-networks that birth beauty beyond comprehension. The reef is a 2,300 kilometer (over 1,400 mile) ecosystem living miles and miles beneath us. Imagine what it would be like to miniaturize one’s self and drift through the Great Barrier Reef. The magnificent colors and the fractured sunlight laying across the brilliant plants and the unimaginable beauty of the coral life that seems infinite. The magical nooks and crannies, the curves and dips as you glide through massive beds of coral of every shape and color. The brilliantly painted marine life that swims, eats and lives in tandem with the magic of a world completely unlike our own. HISTORY: The Great Barrier Reef has died and been reborn five times since the Ice Age. 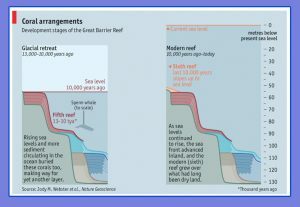 Two reefs were destroyed by exposure when sea levels fell. The three after that were overwhelmed by a combination of water too deep for it to live in and sediment from the mainland. 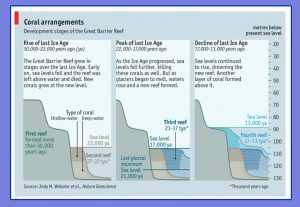 The current reef is the sixth in the last 30,000 years. The miracle of its ability to regenerate is nothing short of astonishing. THE THREAT: The threat to the reef now seems to be what’s known as “bleaching”. 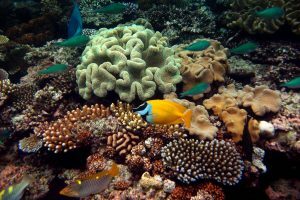 It’s something that occurs when temperatures rise and tiny little creatures called polyps release toxins instead of the symbiotic algae needed to seed the reef. The toxins cause the coral to lose its color and die. 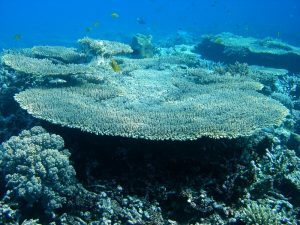 Since we have no way of knowing when the rising temperatures might reverse, we have no way to judge whether or not the reef can resurrect itself if it dies again. 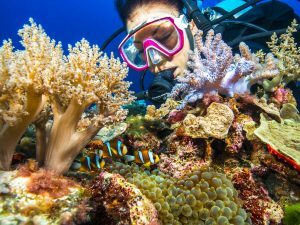 WHAT’S BEING DONE: There are scientists who are now experimenting with coral fertility treatments. 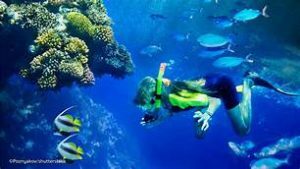 They hope to create a baby boom for The Great Barrier Reef. The coral IVF is designed to help heal damaged coral and is showing signs of success. 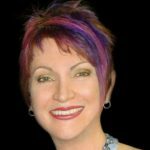 There are those that are for the IVF treatments and those that feel the money should be spent to study and rectify the effects of the pollution and rising temperatures that seem to be choking the planet and the Great Barrier Reef along with it. I really hate to think that one day all we will have left of this Icon Of The Ocean will be pictures and video. The thought that all that mystery and magic could be still and lifeless is sort of sickening. The Great Barrier Reef makes me think of beauty beyond imagination and life for life’s sake. It feels akin to the inner part of something pure and uncompromising. It’s a symbol of the mystery of the inner part of the soul that we cannot touch with our fingers, but can only access with our true Self. 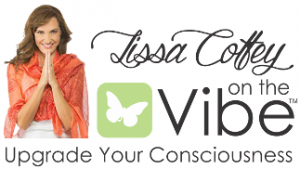 For me it begs the question, if we humans spent even a small amount time with the greatness of our inner self, would it inspire us to understand the interconnectedness of all life? If we as a whole had a better sense of the true Self, the inner mind, would it not excite us come together to nurture all life, knowing that in those acts of caring and love, we are nurturing ourselves.